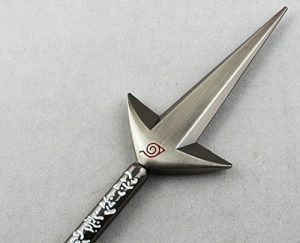 Where can I buy a Naruto Kunai for my Cosplay? Jake from California has asked us where could he buy a Naruto Kunai for his next Cosplay, and here we found a great replica for an awesome price of only $21 including shipping to USA. It’s as large as 8.5 inches, and weights around half a pound. It’s an awesome accesorie for a Naruto Cosplay. It is a kunai of chrome alloy. Kakashi and Minato Namikaze of NARUTO has, mimics the Kunai wind of flying god of thunder. It’s made very strong, texture is also very good. For safety reasons, it is not sharped enough to damage around and hand, but you cando such work. This entry was posted in Anything else and tagged accesories, cosplay, cosplay accesories, japan, kunai, naruto, naruto kunai on October 15, 2016 by WhereCanWeBuy. Where can I buy an Amish Design 3 In 1 Chair? 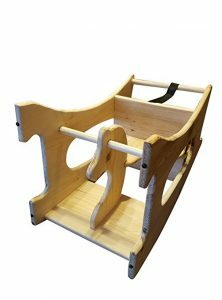 This 3-in-1 High Chair, Rocking Horse, and Desk is excellent for grandparents— this multifunctional piece of furniture saves space and is sure to be enjoyed by visiting grandchildren. Also works well in small apartments or homes where a versatile, space-saving piece of furniture is needed. In its upright position, it functions as a high chair that can be pulled up to the dinner table. When flipped forward it becomes a child-sized desk, and flipped backwards it becomes a rocking horse for your toddler’s entertainment. Beautifully handcrafted from solid, durable Brazilian pine, our Amish Design 3-in-1 High Chair, Rocking Horse, and Desk arrives unfinished so you can paint or stain it in any color to match your décor. This is a must have for your kid, and you can have it for only $200 delivered at your home. This entry was posted in Anything else on September 12, 2016 by WhereCanWeBuy. Where can I buy a nice european pillow? 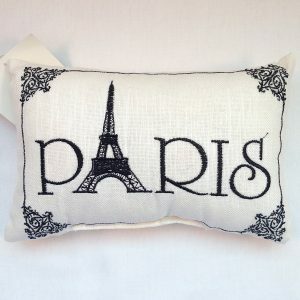 This ivory pillow embroidered in black says “Paris”, with the Eiffel Tower forming the “A”, and a scrolled design in each corner. A really cheap and unique pillow that will fit your home and give it a special European style. Size is 6”x9”, with cotton cover and polyester fill, a high quality product for a low cost. The Paris Pillow you were looking for! This entry was posted in Anything else and tagged Embroidered, european pillow, paris, paris pillow, pilows, soft on September 1, 2016 by WhereCanWeBuy. 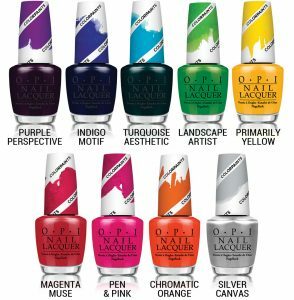 It’s a shame that the user who asked us to find this Opi collection available in a store in France, didn’t told us their email, so we hope he or she will visit us again! Just click in the image and you will be able to buy it in France! This entry was posted in Celebrities fashion and tagged buy in france, opi, opi color paints, store france, user ask, user requests on September 1, 2016 by WhereCanWeBuy. 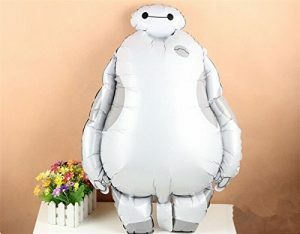 Where can I buy a Baymax balloon? This is a big balloon!! My son LOVED it! He carried that balloon everywhere on his birthday, by holding Baymax hand. It was too cute. So very happy! Had it filled at a party store with helium for $3 and it lasted almost a month. Well worth the buy to see my little one’s face when he saw his Baymax balloon! This entry was posted in Anything else on August 23, 2016 by WhereCanWeBuy. 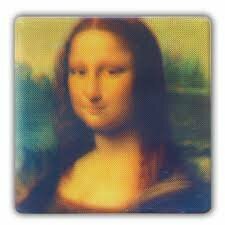 Where can I find a cool Mona Lisa coaster? They are made of Acrylic, and each coaster has one of the four colors. Based on the CMYK color model, these coasters refer to the four inks used in the color printing method, cyan, magenta, yellow and key (black). The true beauty of Mona Lisa is revealed when all four coasters are stacked together. Set of 4 coasters. There is a bit of assembly required straight out of the box- you have to attach four self-adhesive feet to the bottom of each coaster. Get these cool CMYK coaster and have a cool gadget for your next party! This entry was posted in Anything else on August 14, 2016 by WhereCanWeBuy. Where can I buy a GameCube controller for PC? Retrofitted by Retro-bit this Retro link USB controller plugs into any PC or Mac with a USB port, giving you that classic GameCube feel. The controller itself reminds me of the original in every way. The buttons are just fine and feel good enough without being too loose or cheap. The only issue is that you might have some troubles configuring it, as not all the buttons might work from start, but you can configure it and make it work with plenty of tutorials online on how to install this generic GameCube controller for PC! 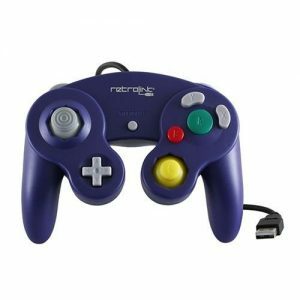 This entry was posted in Computers & Accessories and tagged dolphin, gamecube, gamecube compatible, gamecube control, gamecube controller, gamecube for pc on August 14, 2016 by WhereCanWeBuy. Where can I find a 3d image that shows different images at different point of views? This is probablly the best 3d art that you can find that will have different images at different points of views. This one in particular shows the four seasons of the year. Upgrade your wall décor and bring excitement to any room. Our 3D Art is perfect for the home or office; bedroom, kid’s room, den, man cave, bathroom & more. The epitome of cool art, our pictures come to life with realistic 3D effects. Pictures come in either a single image with detailed 3D depth or multiple images that change when viewed from different angles. Look at the picture and see one image and a few steps later there is something completely different! An instant conversation starter and makes a perfect gift. This entry was posted in Anything else on July 30, 2016 by WhereCanWeBuy. Where can I buy an Octopus Statue? Octopuses are sea animals famous for their rounded bodies, bulging eyes, and eight long arms. They are awesome creatures. One of the most intelligent animals out there. 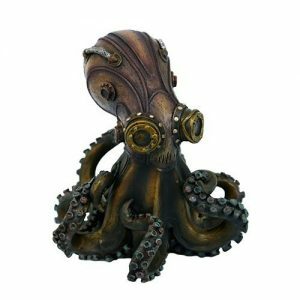 We bring you two options, one a steampunk octopus figurine, a small polyresin of about 5.5 inches by side, hand painted and polished that looks awesome. It is a perfect gift and a cool decoration. This one costs less than $30. And another alternative, a bit more expensive, made with hand cast brass, and measures over 8 inches, which costs more than $100. This octopus is stunning. It is eactly as pictured and a great conversation piece for the coffee table. It is avery unique and pretty piece for a decoration gift. This entry was posted in Anything else and tagged figurines, octopus, octopus statue, statues, steampunk figurine, steampunk octopus, steampunk statue on July 22, 2016 by WhereCanWeBuy. How can I get kombucha without tasting it? 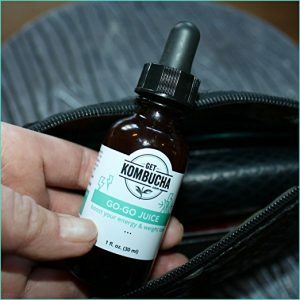 Go Go Juice Adaptogenic Tonic – Liquid Herbal Energy and Support with Organic Kombucha Tea Extract. This is a great option for those who don’t like the taste of kombucha but still want all the benefits. I’m on my second bottle of Kombucha now so have been using it for a couple of months. I’m using it and I feel like it truly helps. Great product and a great way to get your Kombucha and add it to any drink you want. I’m starting to feel better and looking better too. I’m taking several supplements along with the Kombucha and getting great results. This entry was posted in Anything else and tagged go go juice, kombucha, kombucha tea, tea on July 21, 2016 by WhereCanWeBuy.